Novi Sad is the administrative, economic, cultural, scientific and touristic centre of the Autonomous Province of Vojvodina, second largest city in Republic of Serbia with the population around 400,000 citizens. It is located in the southern part of the Pannonian Plain, on the border of the Bačka and Srem regions, on the banks of the Danube river, facing the northern slopes of Fruška Gora mountain. The edict that made Novi Sad a “free royal city” was proclaimed on 1 February 1748. At the end of 19th century and at the beginning of 20th century, the city becomes the place where the novelist, poet, jurist, and publicist have lived and worked, which contributed to the Novi Sad becoming capital of Serbian culture and earning the nickname Serbian Athens. Today Novi Sad is a multinational, multicultural and multi-confessional metropolis in which all differences are seen as advantages. It is the city of museums, galleries and festivals. Nowadays, a widely recognizable symbol of the City is Exit Festival, but there are also Sterijino pozorje theatre festival, Zmaj Children Games, International Novi Sad Literature Festival, Novi Sad Jazz Festival, and many others. It is home of the University of Novi Sad with 19 faculties and specialized departments at which the lectures are held in languages of national minorities or were founded with that purpose. Novi Sad is chosen for the European Capital of Culture 2021 and for the European Youth Capital 2019. Famous inhabitants of Novi Sad: ĐorđeBalašević (born 1953 in Novi Sad), one of the most famous and and successful Serbian song writers; Tennis ace Monica Seles (geb. 1973); and actor Aleksandar Tišma (1924-2003). Marija Popovic, lost her parents quite early. Family Popovic were well-respected community members, as they were rich and prestigious family from Novi Sad, but after their death other family members took care of Marija until she turned 16 years old. At the age of 16 she got married to a 40 year old Jovan Trandafil. According to some sources Jovan was a trader or a dealer. It is not certain what was his origin, or what was his job for sure, but it was certain that with Marija’s dowry he had increased his capital goods. Since she was from a wealthy family, it is certain that she was well educated and that she spoke German. It is also claimed that she attended the private elite school where she learned how to write, do calculus, read a Bible and make handcraft. Trandafil spouses dedicated their life to charity work and investments. Marija was escpecially affected by the children suferings, and during her lifetime she took care of many poor Serbian children. Her bigest foundation was Institute for the Maintenance of Orphans and Poor Children that was built in 1912, and it was completed after her death. Jovan and Marija were very sophisticated and rich and they had a good reputation, but destiny was not on their side. Their children Kosta and Sofija died very young. According to her statement she never overcome their death. When her husband Jovan died, Marija was forced to fight for her property on the court. That was very important for her in order to finish with her previous work. As we know today, women in that time were not equal to men, therefore she had to win four lawsuits against her male cousins and her brother. That also makes her a fighter for women’s rights. Her brothers did everything in their power in order to take all of her property. Rumors were spread about her and one man with a questionable reputation. Peple claimed that she was exchanging letters with this man and also some people spread rumors that she was a theaf. Despite the bad intentions of others she managed to fight for herself after all. For Marija Trandafil Ortodoxy was very important, therefore she tried to include religious aspect in her charity work. She helped in renovation of Nikoljevska Church, iconostasis of Uspenska Church and Armenian-Catholic Church. During the Serbian-Turkish war she was the president of a board for colecting food and help for Serbian warriors and during the great hunger in Novi Sad she helped to all the people despite of their religion or state of origin. For her charity work she recieved the Red Cross medal. Her last estate manager Luka Jocic wrote in his“Memories“ that Marija Trandafil was a great benefactress and that she was providing help to the ones who need it and to the ones that doesn’t. Marija Trandafil’s name, that Novi Sad owns so much, is now a name of a square in Novi Sad between the Uspenska Church and the Matica Srpska, and as well name of many streets and schools in Serbia. Mileva Maric Einstein, Serbian scientist was born in 1875 in Titel, Vojvodina (then part of Austro-Hungarian Empire), as a first out of three children of Milos and Marija Maric. Since the first days in school she standed out with her briliant mind and her genious skills for mathematics and physics. She enroled in female high school in Novi Sad in 1986, and in 1888 she transfered to Royal Grammar School in Sremska Mitrovica, where she graduated as the best in class in mathematics and physics. Afterwards she attended Serbian Royal School in Sabac. When her family moved to Zagreb, she was given a special permission to attend Royal Classical High School, that until that time only boys could enrol in. At that time education of girls was not something that was considered as something usual, but since her family was wealthy and she was outstanding in school, she had the opportunity to continue her education at the famous European Universities. At first she enrolled in medical school in Zurich, but afterwards she transfered to state politechnical school- ’’Zurich Politechic“, where she majored in mathematics and physics. She was a fifth women in the history that managed to enrol in this school, one of two that graduated and the only one in her generation. One of her colleagues that was three and a half years younger than her, German Jew Albert Einstein, became her friend and after she fell in love with him. Albert was fascinated with her discipline and intellect and she started to be interested in his work. Her parents, unlike Einstein’s parents, were not opossing to their relationship, they considered that since she was very ill chances that this relationship turns into marriage are small (Mileva was born with deformity that caused her to limp all her life). Albert’s mother Paulina was especially against this marriage and the idea to have one Serbian Orthodox becoming member of their modest family and until the end of her life she had the same attitude. Some sources claim that she gave birth to her daugther Lieserl in 1902 in her parents house in Novi Sad. She almost died during the childbirth, and Albert most probably never saw his daugther, she was most likely given for adoption afterwards, until today we can not certainly claim what happened to that baby. Radmila Milentijevic, book author of ’’Mileva Maric Einstein-life with Albert“ claims that baby was adopted by her University friend Helena Kaufler that latter married Milivoje Savic from Belgrade. Mileva and Albert got married in Bern on the 6th of January 1903. After they got married their two sons were born, Hans Albert was born in 1904, he later became profesor of hydraulic engineering at Berkeley University. After their first son was born Mileva and Albert finished their works such as ’’ About Brownian motion“, ’’Photoelectric effect“, ’’Special Theory of Relativity“ and as well research work where the famous formula E=mc2 was introduced, these were all published in 1905. Many people who had a chance to see this original works, have claimed that they were all signed with Einstein-Mariti that was a last name that Mileva got when she was has registered in Canton of Zurich. One of the assistants of ‘’ Annals of Physics“ journal also claimed that her name was at the original copy. It is still unclear why her name didn’t remain there later on. Their second son Edward was born in 1907, he had symptoms of schizophrenia. Her son’s illness was a huge struck for Mileva, she tried to do everything possible to help her son, she even contacted Sigmund Freud but it was all unsuccessful. Those were difficult times for Mileva, she was forced to leave science behind. At that time Albert started to neglect his family more and more. Their marriage became difficult, he even gave her a list of conditions that she needs to fulfil in order to keep living together. Humiliaton ended in 1919 when they filed for divorce. During that same year in June, Albert married his cousin Elsa. After their divorce Mileva’s life was difficult, Albert was not sending her enough money, that forced her to take a legal action in order to get a financial support for expensive experimental treatments for Edward. In the negotiations after their divorce they agreed that in case that Albert gets Nobel Prize (he was nominated couple of times until then) she will receive this money that he gets as a reward. Mileva had to sell all her posetions to pay Edwards treatment and until the end of her life she took care of her son by working as a piano and mathematics tutor. She died in Zurich on 4th of August 1948, where she was buried at the Nordheim Cemetery in Zurich according to the Orthodox traditions. There are still many controversies about her life and work. In many of his wok she is only mentioned as ’’genious first wife“, question that remains is what was her actual role in Theory of relativity research work that was rewarded with the Nobel Prize later on. One thing is sure, she did love Albert and she let her love influence her intelectual work. Since 1944 University of Novi Sad is giving award with her name to th most sucesfull students and there is also a street and school In Novi Sad with her name. Novi Sad is elected as European Capital of Culture last year and one of the actions in this project will be to renovate her family house in Kisacka street in Novi Sad, where family Einstein-Maric spend some time in at the begining of 20th century. Savka Polit Desancic, Subotic after marriage, will become a famous name in serbian feminism. Family Polit Desancic was a wealthy family with a well known reputation, that lived in Novi Sad at the beginning of the 19th century , and their two last names are well known even today. When she was only 4 years old, her parents have sent her to the private school in order to get educaton. Even though she was a female, and at that time school was not obligatory for women, her parents were determined that she gets the same education as her brother Mihajlo Polit Desancic. Her mother Juliana was the one that influenced her attitudes towards women’s role in the society. That is how Savka got the highest education at that time that one girl could possible get. Afterwards family moved to Vienna, Savka continued her education there and she met her future husband Jovan Subotic there as well. Jovan Subotic was a famous journalist and politician, he was a significant support in Savka’s fight for women empowerment. After graduating from the University and getting married, she moved back to Novi Sad together with her husband Jovan Subotic, where she was dedicated herself to education about bad position of a women in society. She relaised that as a rich girl, she had a privilege to be educated in the best schools, and other girs that were poor didn’t have that chance. Terefore she focused her work on the necessity of women education. Savka Subotic founded ’’First Female Cooperative“ that helped poor but motivated girls to became teachers and educate others. Besides that she is responsible for opening the first higher education institutions for women in Novi Sad, Pancevo and Sombor. 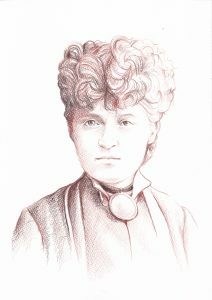 Her work and actions for better position of women in a society became known outside of Serbia as well. Savka participated in a ’’Feminist Congress“ in Budapest, and she held lecture in Vienna with the topic ’’Women in East and West“ where she pointed out existence of stereotypes toward differences between men and women. After this lecture Aleksa Santic named Savka ’’Mother of her people“. Apart from the fact that she understood why are men and women percieved differently, she also have relaised that women in the countryside have specific and even worse position comparing to the other women that live in the cities. Influenced with this new knowledge she organized different programs that would encourage women to do weaving, by processing of wool and knitting, in a way to adjust this products to the necessities of a market. She could see art in the handcraft that women in the countrysde did, that is why she collected them and she made exibition in Paris where she displayed them. That was the first time the world could see famous Pirot rug. Savka Subotic was one of the first feminists in this area. She recieved many rewards for her work. 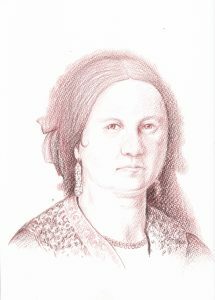 She was a member of associations where women were the focus of work and also the first president of Circle of Serbian Sisters. Today, one street in the Novi Sad settlement Veternik, is named after her. 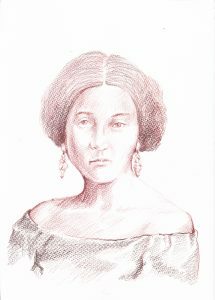 Ida Sabo, was born in Subotica, but she lived and worked in Novi Sad for many years. 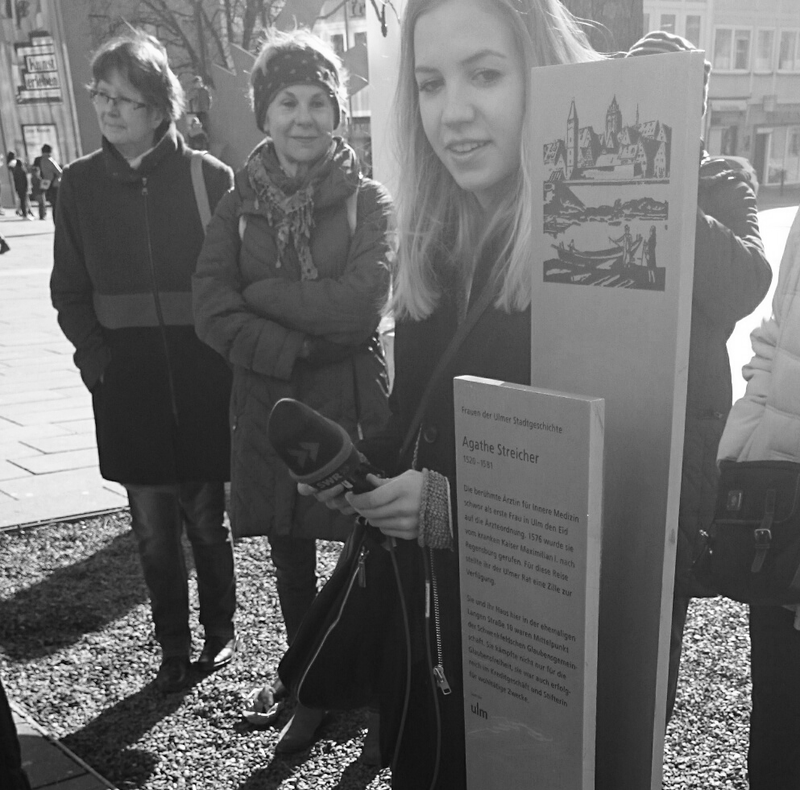 She was only 13 years old, when her brother was arrested and poverty caused her to experience difficult period of her life in a “Merkur“ factory in Subotica, in a former Kingdom of Yugoslavia. She grew up along side her brother Geza and her mother. Her brother was a communist and he was always her role model. Under that infuence she also joined the League of Communists of Yugoslavia before she turned twenty. This is how the story of Ida Sabo begins, the story of the activist that played one of the key roles in womens rights revolution in Yugoslavia. Her first task as a young activist was enlightment of the young people and everyone else involved in a fight for liberation. According to her writings, at that time 83% of citizens of Yugoslavia were illiterate, mostly workers’ children and children from the countryside. The goal was to educate them in order to prepare them for the struggle against exploitation of a working class and making them aware of this issue. “Citizens were illiterate, and we knew that the unemployment comes with that, there is no progress, and that had to be changed. We educated people, we have read Victor Hugo and Emile Zola with them, nothing similar to the trash literature that is offered nowadays“ Ida said for the 021 portal. Beacuse of her political ativism she had to leave Subotica and move to Ljubljana, where she joined the League of Communists of Yugoslavia. Together with other party members she took part in different party activities such as writing graffiti slogans on the walls, encouraging revolution and organizing uprising in 1941. She was arrested a year later and she stayed in prison for one year. She was not frightened by that. After she was released from prison, she continued with her work. In all the interviews that she made during her lifetime she said that it was necessary to have courage for such actions and also to sacrifice yourself for the sake of others. What was leading us was the idea of the unity, and long time after the fight Ida said that only within unity there can be some change. That is why it was important to include all those marginalised and disenfranchised groups in the fight: workers, peasants, studends and women. “Before the World War II in Kingdom of Yugoslavia, women were very unequal to men. By law they were equal to children and mentally ill people. They didnt even had a right for their children. If their husband died there would be a guardian assigned for their chlidren. There were very little intelectual women. For their work, even if they were doctors, they were payed half salary compared to men. There was a feminist organisation that was fighting for women rights. We considered that it was important to fight for women’s rights and emphasize it because women are the most opressed group, but the whole working class were opressed as well as advanced freethinkers. In 1936 we collected 650,000 signatures for equality of women and in the same time we were preparing for the fight against fascism. Therefore all that struggles should be unified in one and fought in that way. Nobody gave Yugoslavian women equality and freedom. Women participated in armed battles in secrecy. Those were difficult tasks“, Ida Sabo said for Marks 21 portal. After the World War II and partisan victory, Ida Sabo was in many leading postitions in the country. 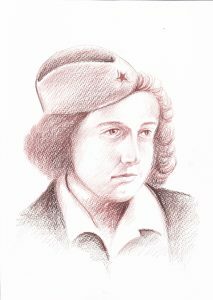 She was a member of a Parliament, member of a representative office of Serbia and Yugoslavia, vice president of a Women’s Antifascist Front of Vojvodina where she continued fighting for the women’s rights. Even though they were fighting in the war along side with men, and many of them died, there was still a wrong belief spread about female role and worth. After the war Women’s Antifascist Front of Vojvodina, together with Ida, worked a lot in order to educate and literate women and to break stereotypes about them. Ida said that fight for women’s equality is not over and that their position is still very bad, if not even worse comparing to their status in Socialist Yugoslavia. Ida Sabo lived for 101 years. In her last years, when she already had more than 90 years old, she talked with attendees of Novi Sad School of Journalism and she showed openness for new and different methods of learnings, that is advocating that everyone, regarding the age learn how to use the Internet and accept attainments that digital 21st century brings. Until the last year of her life, Ida gladly talked about her fight. She remembered every detail of her life, and she didn’t try to hide the disappointment because of the growing nationalism, materialism and selfish goals of those on higher positions nowadays. But she believed in young people and the possibility that it will be better again and the only necessary thing to achieve that is – the unity. Ida Sabo recently received a mural in Novi Sad, which is near the Railway Station, made up of the portrait of Ida and the message “Death to fascism, freedom to the people”. Milica Tomic, was named after the Milica Stojadinovic Srpkinja (Serbian), and her father called her Milos. She was a politician and activist for women’ rights. Milica Tomic made significant pioneer steps for women equality rights. Her father, famous politician and mayor of NovI Sad Svetozar Miletic influenced her to become interested in journalism and politics. At first it wasn’t like that. Milica went to schoold in Budim and Pest and she spoke several languages. Her first wish was to become a doctor. After her father got sick, she had to leave medical school. Svetozar Miletic was an editor in the journal ’’Zastava“ (’’Flag’’) and because of his political actions he was even arrested. Therefore someone had to continue his work. His daughter Milica, when she was almost 20 years old, was editing newspapers and writing political articles, that was certainly not usual case in that time for a woman. Milica did more extraodinary things: in 1918 she became one of the 7 female members of Parliament in the time when women didn’t even have a right to vote. At that time her fathers journal got a new editor – Jasa Tomic. Jasa Tomic never managed to graduate from medical school as well, he was now a politician, her husband and a new editor of journal. Their wedding caused rumors to spread about the motive of that marriage. Was that real love or it was only for interest? Many people claimed that he only married her to became the editor of ’’Zastava“. That wasn’t the only controversy in their marriage. Misa Dimitrijevic, the editor of the journal ’’Branik“ had a media conflict with the Tomic spouses. Conflict escalated when Dimitrijevic published Milica’s love letter from her teenage days and in that way he humiliated and offended her as a women. Jasa Tomic, in order to defend his wife’s dignity, killed Misa Dimitrijevic at the Railway Station in front of many witnesses. Tomic lost his freedom and Milica was left alone. At that time she decided to dedicate her time even more to journalism and women issues. She was a pioneer when it comes to journalism and women, therefore she was a founder and editor of first magazine made for women. Until that time there were some female magazines but their editors were all men. Magazine ’’Women“ was published for 10 years. It had an educational role and it was made for emancipaton of women. Milica wrote about everything that was interesting for women at that time and everything that was connected to the ’’women role and life“. Therefore in the magazine there were articles about children and women education, fashion, health, hygiene and even about superstitions. Beside from writing about women’s education, Milica also did some practical things. She founded female reading room that she named “Posestrima“. In this reading room there were organized lesson for those women that can’t read or write. Another opened institution was a library. In the library different activities were organized mainly for women, especially focusing on the inclusion of women from the countryside. Milica Tomic was very focused on educating women from the countryside in order to literate them and include them more, since they were especially vulnerable group. Female solidarity was also one of the main interests for her, therefore there was a charity foundation that was suppose to help ill and poor people. Milica was a pioneer and great feminist. 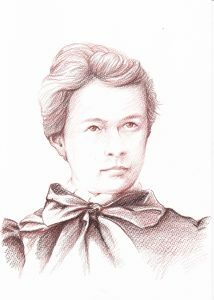 It is often emphasized her cooperation with other women that were fighting for the women’s right such as suffragette Rozika Roza Svimer, she was exchanging letters with her. Milica was buried next to her husband and father in Novi Sad and from that moment on it seems like she was forgotten. She did so much for women and she ended up in a shade of her famous husband. Today, a street in Novi Sad is named after her.